Burj Khalifa "Khalifa Tower" is a skyscraper in Dubai, United Arab Emirates. 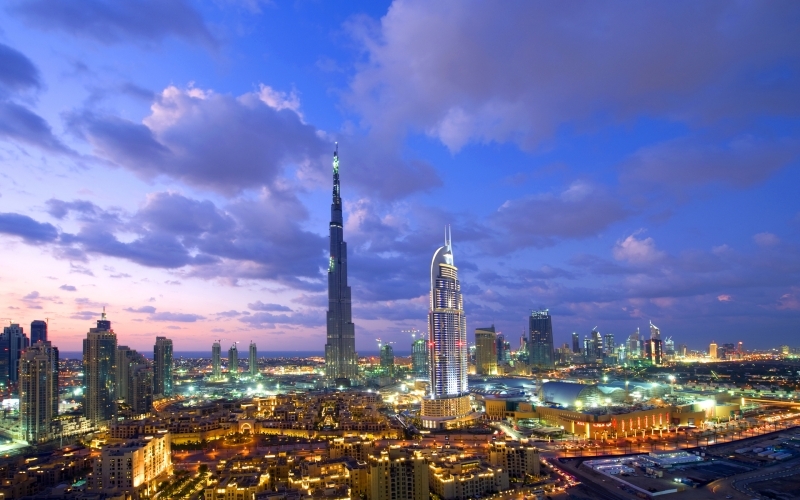 Burj Khalifa was designed by several engineers, most famous are Adrian Smith, Skidmore, Owings, and Merrill. It is the tallest man-made structure in the world, standing at 829.8 m (2,722 ft). Burj Khalifa Construction began in January 2004. and the opening January 2010. 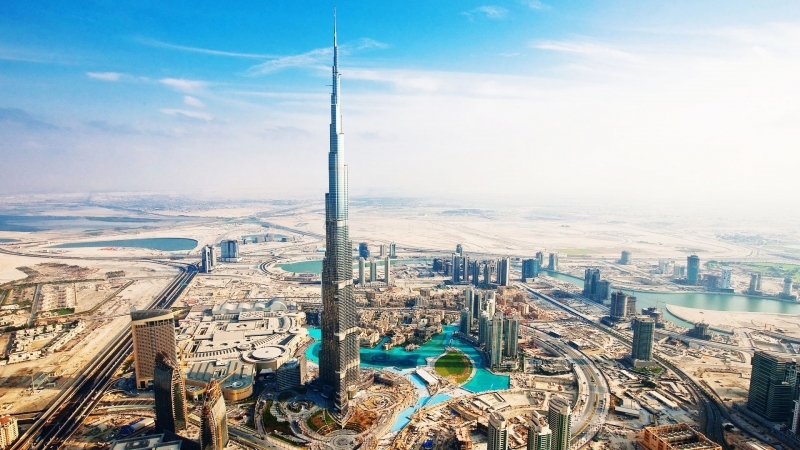 Burj Khalifa was designed to be the centrepiece of a large-scale, mixed-use development that would include 30,000 homes, nine hotels, 3 hectares (7.4 acres) of parkland, at least 19 residential towers, the Dubai Mall, and the 12-hectare (30-acre) man-made Burj Khalifa Lake. 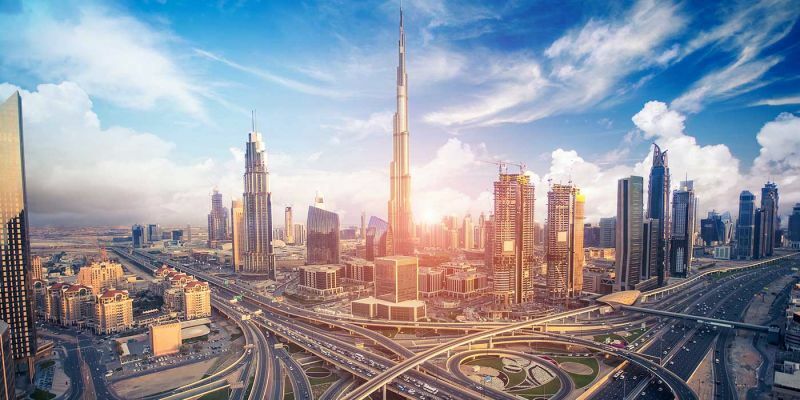 The Burj Khalifa skyscraper is a world-class destination and the magnificent centrepiece of Downtown Dubai, and for sure it is Dubai's new urban masterpiece. The world's tallest building is surrounded by hotels, top famous shopping destinations and a world of entertainment options. The External cladding system is designed to withstand Dubai's extreme summer temperatures and consists of reflective glazing, and aluminium and textured stainless steel spandrel panels. The architectural glass provides solar and thermal performance as well as an anti-glare shield for the intense desert sun, extreme desert temperatures, and strong winds. An outdoor observation deck that was opened in January 2010 on the 124th floor. When it opened, it was the highest as well as the highest outdoor observation deck in the world. Although it was surpassed in December 2011 by Cloud Top 488 on the Canton Tower at 488 m. Burj Khalifa opened the 148th-floor SKY level at 555 m, once again giving it the highest observation deck in the world in October 2014. The 124th-floor observation deck also features the electronic telescope, which allows visitors to view the surrounding landscape in real-time, and to view previously saved images such as those taken at different times of the day or under different weather conditions. The opening of Burj Khalifa was held in January 2010. The ceremony featured a display of 10,000 fireworks, light beams projected on and around the tower, and further sound, light and water effects. 2011–2012, Burj Khalifa was fully illuminated in white, red and green colours, drawing on the colours of the UAE national flag, through the fireworks display. The celebrations were also a salute to the nation. 2012–2013, the fireworks display on Burj Khalifa, in a blaze of light and colour, the fireworks engulfed the tower, synchronized and choreographed to a live performance by the Prague Philharmonic Orchestra. 2013–2014, the Burj Khalifa and surrounding areas were the sites of a record-breaking fireworks display as part of the UAE's New Year celebrations, with a reported 400,000 fireworks being set off continuously for six minutes. 2014–2015, the Burj Khalifa was illuminated by an 828 m custom build LED facade which was installed in the building where light shows were displayed followed by the fireworks. 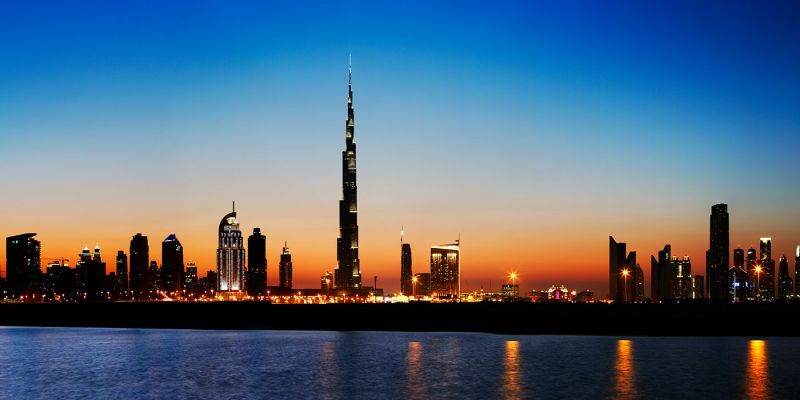 You Can Book One of our Dubai Day Tours to Visit Burj Khalifa.